Top Rated Local® is pleased to announce that Charles Dickens Photography is an award winner for photographers in 2019. If you are looking for a photographer that will work hard to provide you with exceptional customer service, look no further than this award-winning company! Charles Dickens Photography has received many overwhelmingly positive reviews across five different verified sites with an average rating of 4.96 stars, earning them an impressive Rating Score™ of 99.61 and two 2019 Top Rated Local awards for ranking as one of the top 50 businesses and one of the top 10 photographers in all of North Carolina! “Charlie is absolutely the best. I’ve worked with him on both sides of the camera. Being photographed by Charlie is always quick and stress-free. He knows his craft and gets great results every time. I’ve also contracted Charlie for several work projects, and he can make anything look good, from large architectural subjects to food plates, down to tiny medical devices smaller than a dime. Charlie can capture it and make it look beautiful. Thanks, Charlie; you make my clients happy, and that makes me happy!” – R.S. It is because of excellent reviews like this that Charles Dickens Photography is now able to call themselves a Top Rated Local award winner! We were excited to learn all about how Charles Dickens Photography has been able to build such an impressive reputation, so we sat down with the owner, Charlie Dickens. The first thing we wanted to know was what it is that makes Charles Dickens Photography stand apart from their competitors. To start, Charlie has been working in the industry for over 20 years, and has received training from some of the top people in the industry. They are proud of being a local and family-owned business, and feel that they know their audience, as they have worked in the area for over a decade. All of this helps them to focus on their clients and make sure they are satisfied. After learning about Charles Dickens Photography’s connection to their community, it came as no surprise to us to hear that they support quite a few different charities, including military appreciation events and children’s bereavement golf tournaments. They have also marketed their business locally through networking groups. Congratulations to Charles Dickens Photography for being a 2019 Top Rated Local award winner, and special thanks to Charlie for taking the time to speak with us! 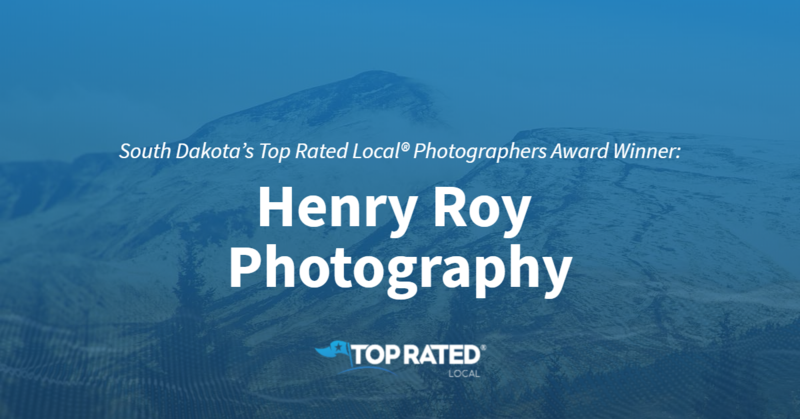 Top Rated Local® is pleased to announce that Henry Roy Photography is two-time 2019 award winner in South Dakota! From senior portraits to weddings, when you need a photographer in Rapid City, there’s no better option than Henry Roy Photography. 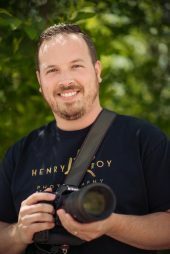 Henry Roy Photography has received hundreds of reviews on four verified sites with an average rating of 4.83 stars, earning them a tremendous Rating Score™ of 97.34 and two 2019 Top Rated Local awards — one for ranking among the top 100 business and one for ranking among the top 10 photographers in South Dakota! “Quality photos (like those from Henry Roy Photography) will save the memories of your day and will be one piece of your wedding day that you will continue to be able to revisit over and over! Booking Roy and his team as our photographers was one of our first decisions in wedding planning and definitely one of our best. Their attention to detail and willingness to do what it takes to get the right shot make them the absolute best at what they do. We are so beyond thankful to the whole team for giving us the ability to look back on our day and relive the moments that made it the best day ever!! Thank you! !” – Laura H.
Henry Roy Ulrich, the owner of Henry Roy Photography, generously gave us a few minutes of his time to tell us about his award-winning business and its impressive online reputation. The first question we had for Henry was what is it that makes Henry Roy Photography stand out when compared to their competition in South Dakota. Henry told us that there are hundreds of photographers in the area, and that they are different, exciting and can capture something different in every session. Henry went on to tell us that Henry Roy Photography offers in-house makeup, facials and waxing — which is not something you’ll find when you hire almost any other photographer. Henry added that they make the world a better place by donating and giving back to the community for those in need. Outside of building a powerful online reputation, Henry Roy Photography has gotten their name out there through word of mouth and their online presence. Congratulations to the team at Henry Roy Photography for being a 2019 Top Rated Local award winner, and thank you so much, Henry, for taking the time to speak with us! We highly recommend Henry Roy Photography in Rapid City. Visit their website today! Top Rated Local® is pleased to announce that JCM Photography is a 2019 award winner for photographers in North Carolina! If you are looking to have your special moments captured by one of the best, look no further than JCM Photography in Asheville. JCM Photography has over 300 reviews on 5 verified sites with an average rating of 5.00 stars earning them an incredible Rating Score™ of 100.00 and a 2019 Top Rated Local award for being one of the top 10 photographers in the entire state of North Carolina. 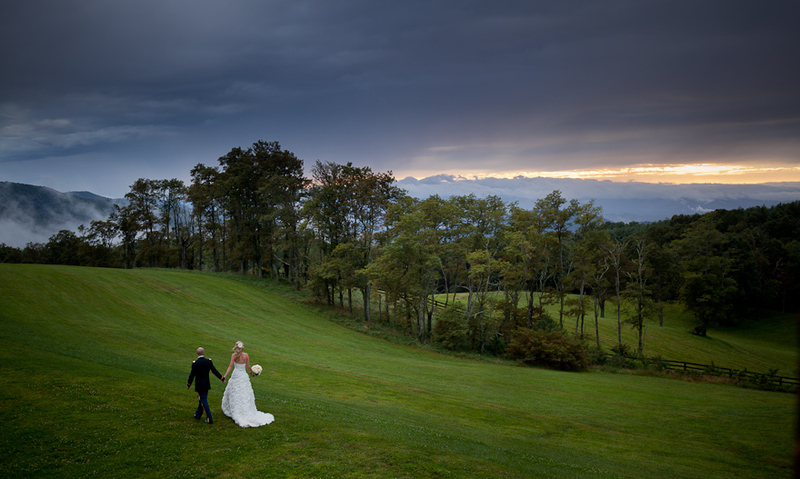 “We literally planned a trip to Asheville, NC to work with these two. I had never met them before, but by the end of the evening, I felt like I’d known them for years. Being comfortable with a photographer like that is how you get effective photographs. 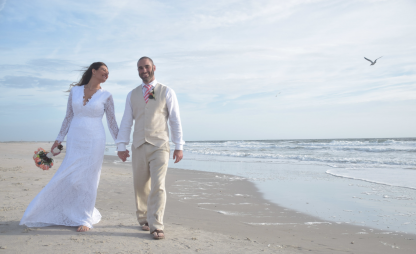 After this experience, I don’t plan on working with anyone else.” – Philip P.
We took a few minutes to speak with Jennifer, owner of JCM Photography, to learn a little bit more about the business and how they managed to build such an amazing online reputation. We also wanted to understand what Jennifer and the rest of her team’s mission is every single day. Jennifer explained that their core mission is to capture the most authentic and genuine stories possible for their clients. The staff also volunteers at local events and provides giveaways to deserving clients. Outside of simply building a strong online reputation to grow the business, JCM Photography focuses on marketing through social media. The business uses a strong network of industry connections to help grow their brand as well. Congratulations to the team at JCM Photography for being a 2019 Top Rated Local award winner, and thank you so much, Jennifer, for taking the time to speak with us! Learn more about this business online today. 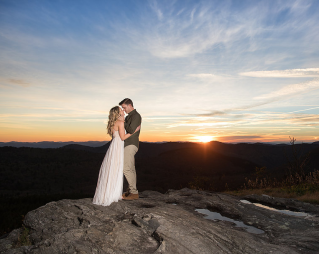 Top Rated Local® is pleased to announce that Colman Photography is a two-time 2019 award winner in North Carolina! If you’re looking for a photographer who can capture the moment like no one else, look no further than Colman Photography in Raleigh. 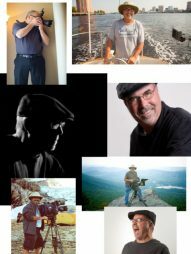 Colman Photography has received dozens of reviews on five verified sites with an average rating of 5.00 stars, earning them an impeccable Rating Score of™ of 100.00 and two 2019 Top Rated Local awards for ranking among the top 100 businesses and the top 10 photographers in all of North Carolina! “Jim is amazing, truly an artist. Not only was he able to capture my husband and I’s quirky personalities, but his vision helped to create some perfect shots. He was very easy to work with and very accommodating to unique requests. I am in awe of the photographs he created and honored to have been the subject of his beautiful work. If that wasn’t enough, you are provided with all of your pictures in high-resolution format on a USB, included in all packages, giving you complete access to make prints at your leisure.” – Kristi M.
Jim Colman, the owner of Colman Photography, generously gave us a few minutes of his time to tell us about his award-winning business and its spectacular online reputation. Congratulations to the team at Colman Photography for being a 2019 Top Rated Local award winner, and thank you so much, Jim, for taking the time to speak with us! We highly recommend Colman Photography in Raleigh. Visit their website today! 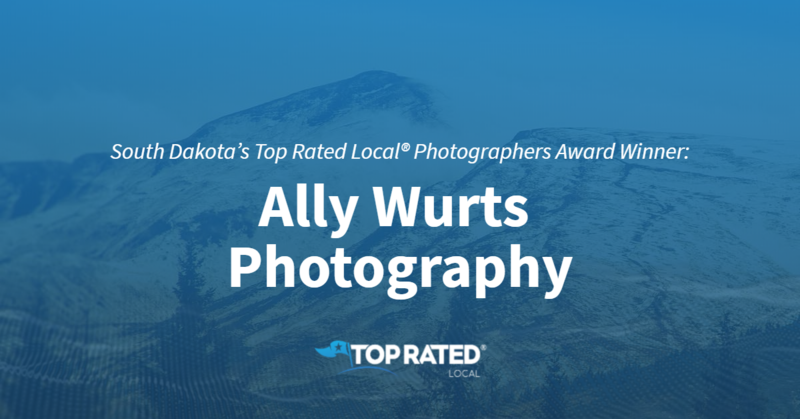 Top Rated Local® is pleased to announce that Ally Wurts Photography is two-time 2019 award winner in South Dakota! Whether you’re capturing your big day or your newborn baby, Ally Wurts Photography in Brookings has you covered. Ally Wurts Photography has received dozens of reviews on four verified sites with an average rating of 5.00 stars, earning this business a phenomenal Rating Score™ of 98.00 and a 2019 Top Rated Local award for ranking among the top 100 businesses and the top 10 photographers in South Dakota! “Ally is, hands down, amazing! She not only can capture great moments but helps keep your day organized. She is very easy to get ahold of and coordinate with. She goes above and beyond to make sure every second we want is taken care of. Her personality is genuine and always upbeat. Her smile is contagious and makes pictures fun. Ally is the best, and we would recommend her to everyone! !” – Amber F.
We wanted to learn a little more about this award-winning business and its impressive online reputation, so we took a few minutes to talk with Ally, the owner of Ally Wurts Photography. We also wanted to know what Ally Wurts Photography’s mission is and how Ally works to make the world a better place. She told us that her mission is to be in the moment, to capture the moment, to have fun taking pictures and to help create something that makes lasting memories for her clients. Ally attributes Ally Wurts Photography’s strong online reputation to her commitment to getting back to customers in a timely manner and to always asking if they had a pleasant experience with her service. She then asks customers to share their feedback online. Outside of building a powerful online reputation, Ally has grown her business through Facebook, newspaper ads — which she says are hit or miss — and her website. Congratulations to Ally Wurts Photography for being a 2019 Top Rated Local award winner, and thank you so much, Ally, for taking the time to speak with us! We highly recommend Ally Wurts Photography in Brookings. Visit Ally online today! 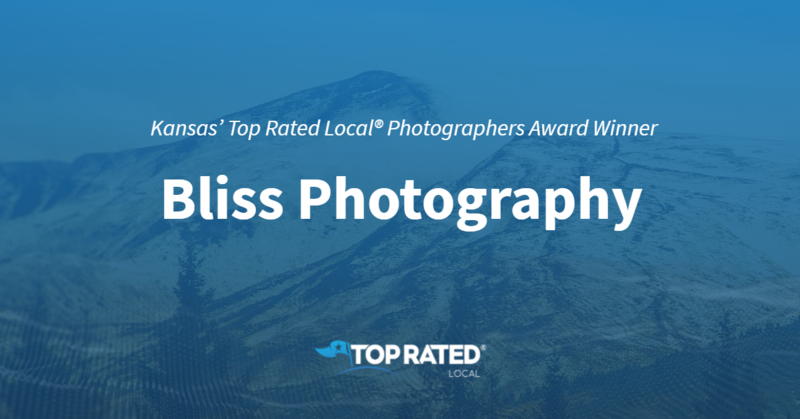 Top Rated Local® is pleased to announce that Bliss Photography is an award winner for photographers in 2019. For your next incredible photo-shoot, look no further than this award-winning company! Bliss Photography has received many overwhelmingly positive reviews across four different verified sites with an average rating of 4.94 stars, earning them an impressive Rating Score™ of 97.43 and a 2019 Top Rated Local award for ranking as one of the top 10 photographers in Kansas! “My daughter’s senior photos were amazing. Our second daughter will have her photo session very soon!” – A.J. It is because of excellent reviews like this that Bliss Photography is now able to call themselves a Top Rated Local award winner! We were excited to learn all about how Bliss Photography has been able to build such an impressive reputation, so we sat down with the owner, Trent Gallagher. The first thing we wanted to know was what it is that makes Bliss Photography stand apart from their local competitors. For Trent, it all comes down to their incredible studio. Bliss Photography has a full-service studio, which offers a beautiful and personalized environment for their clients. Bliss Photography has managed to create an impressive online reputation, so we were excited to learn about some of the ways they have marketed the business over the years. We learned that Bliss Photography has a strong presence on social media platforms like Facebook and Instagram. They also send emails to their clients, and have advertised at high schools and in local magazines. With all of these efforts in place, they still deeply value positive reviews and word-of-mouth referrals. In fact, a lot of their business comes to them because of word-of-mouth. Congratulations to Bliss Photography for being a 2019 Top Rated Local award winner, and special thanks to Trent for taking the time to speak with us! 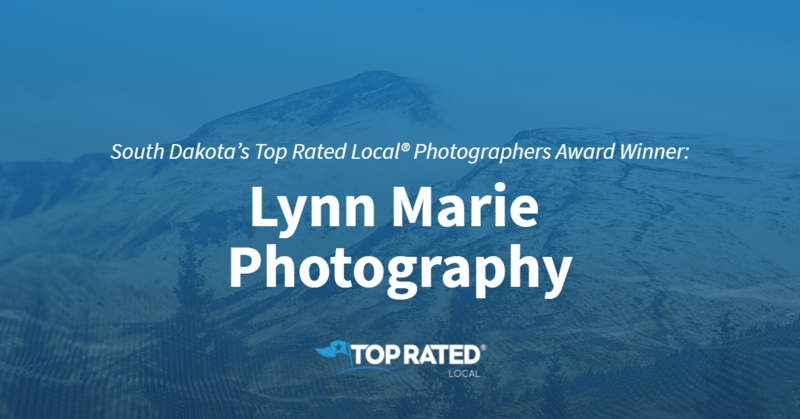 Top Rated Local® is pleased to announce that Lynn Marie Photography is a 2019 award winner for photographers in South Dakota! Whether you need a photographer who can capture your big day or beautiful family, Lynn Marie Photography is your number one option in Harrisburg. Lynn Marie Photography has received dozens of reviews on four verified sites with an average rating of 4.93 stars, earning them a tremendous Rating Score™ of 97.25 and two 2019 Top Rated Local awards — one for ranking among the top 100 businesses in South Dakota and one for ranking among the top 10 photographers in South Dakota! Lynn Brower, the owner and Certified Professional Photographer at Lynn Marie Photography, generously gave us a few minutes of her time to tell us a little more about her award-winning business and its stellar online reputation. Lynn attributes Lynn Marie Photography’s strong online reputation to her commitment to always provide her clients with quality products and services. Congratulations to the team at Lynn Marie Photography for being a 2019 Top Rated Local award winner, and thank you so much, Lynn, for taking the time to speak with us! We highly recommend Lynn Marie Photography. Visit their website today! 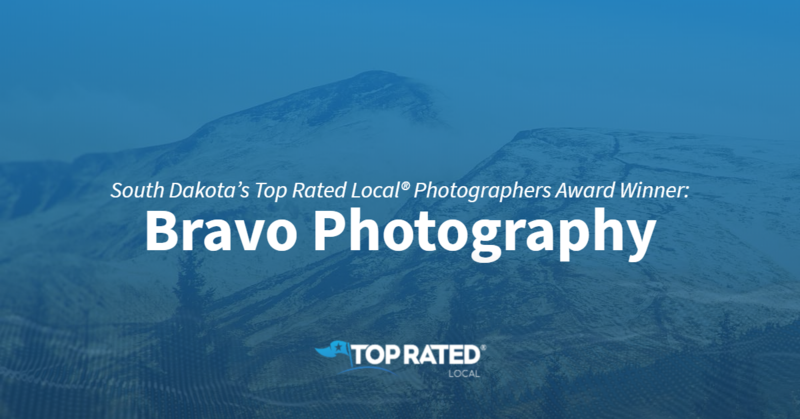 Top Rated Local® is pleased to announce that Bravo Photography is a 2019 award winner for photographers in South Dakota! Capture the moment with Bravo Photography based out of Sioux Falls. Bravo Photography has received dozens of reviews on three verified sites with an average rating of 5.00 stars, earning them a spectacular Rating Score™ of 97.00 and two 2019 Top Rated Local awards — one for ranking among the top 100 businesses in South Dakota and one for ranking among the top 10 photographers in South Dakota! “[I had] such an AMAZING experience!! I had such a fun time talking with Johnny and getting to know him. In addition, he was very genuine!! His work is stunning, and [he] has a passion for what he does. I highly recommend [him] to anyone who is looking for quality, professional and creative photography with one of the nicest people you could ever meet.” – Annie W.
Jonathan Bravo, the owner of Bravo Photography, generously gave us a few minutes of his time to tell us a little more about his award-winning business and its tremendous online reputation. Outside of building a powerful online reputation, Jared has gotten Bravo Photography’s name out there through social media, conventions, The Knot, Wedding Wire and word of mouth. Congratulations to the team at Bravo Photography for being a 2019 Top Rated Local award winner, and thank you so much, Jonathan, for taking the time to speak with us! We highly recommend Bravo Photography in Sioux Falls. Visit their website today! 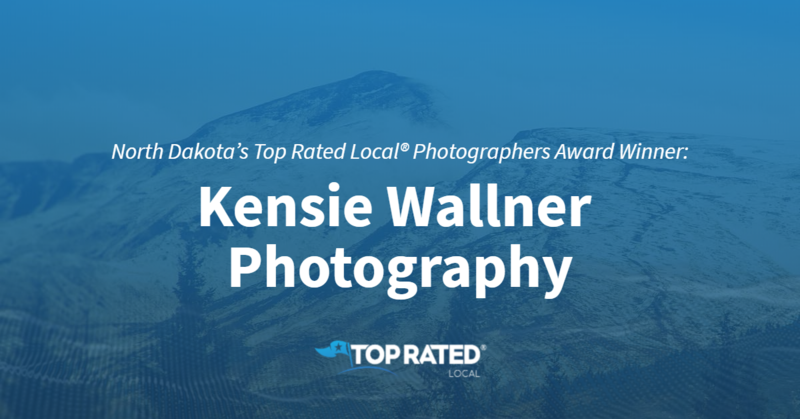 Top Rated Local® is pleased to announce that Kensie Wallner Photography is a 2019 award winner for photographers in North Dakota! If you’re looking for a talented photographer who can capture life’s biggest moments beautifully, look no further than Kensie Wallner Photography. Kensie Wallner Photography has received dozens of reviews on four verified sites with an average rating of 5.00 stars, earning it an impeccable Rating Score™ of 98.00 and two 2019 Top Rated Local awards — one for ranking among the top 100 businesses in North Dakota and one for ranking among the top 10 photographers in North Dakota! “I honestly cannot say enough great things about Kensie! She shot our October 1st wedding at the Red River Zoo, and she did such an amazing job. During the day, she was professional and fun. We got all the necessary family photos and some hilarious photos with the zoo animals as well. We received a huge online gallery of photos from her, plus a jump drive, which made sharing with our family and friends very easy. Before all the photos were edited, she even reached out to get us a few early for Christmas cards. I am just so in love with our photos! I can’t imagine how they could be any better. Thank you, Kensie, for capturing our special day!” – Rachel S.
We wanted to learn a little more about this award-winning business and its impressive online reputation, so we took a few minutes to talk with Kensie Wallner herself — the owner of Kensie Wallner Photography. Despite the fact that Kensie never asks her clients to leave reviews, Kensie Wallner Photography has the kind of online reputation any business owner would envy, which speaks to Kensie’s dedication to excellence and the incredible service she provides. 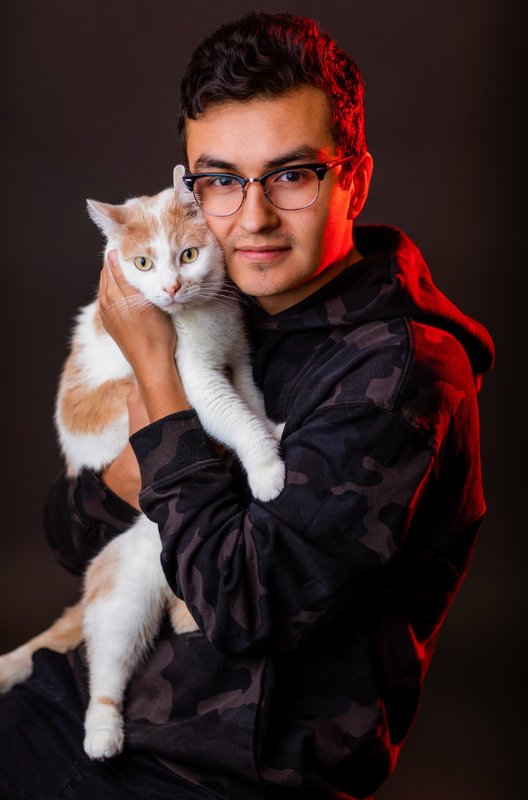 Congratulations to Kensie Wallner Photography for being a 2019 Top Rated Local award winner, and thank you so much, Kensie, for taking the time to speak with us! We highly recommend Kensie Wallner Photography. Visit Kensie online today!